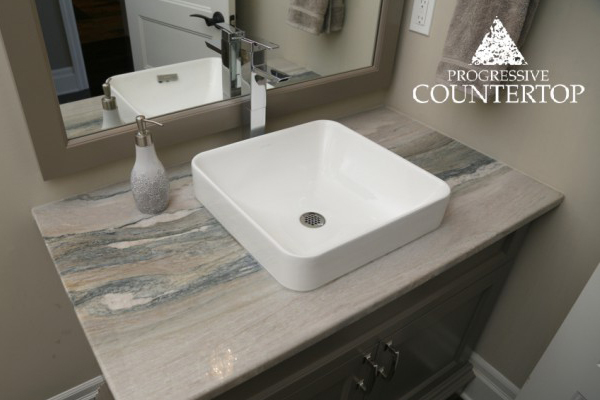 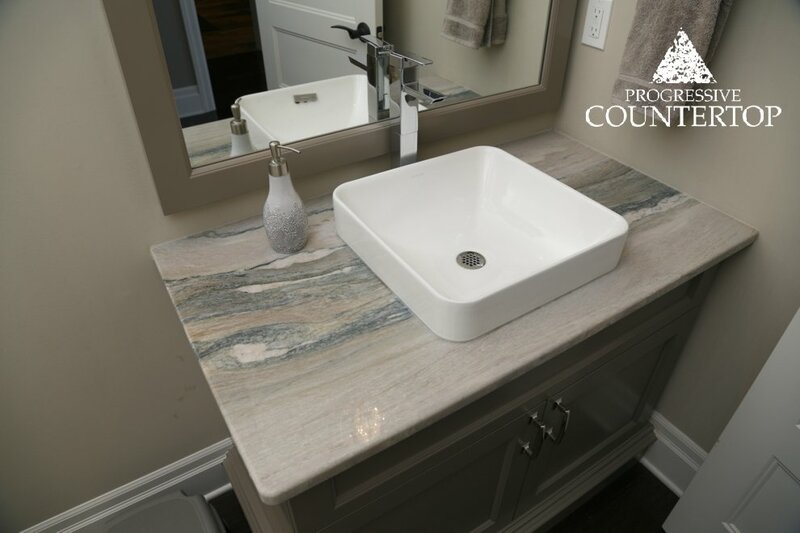 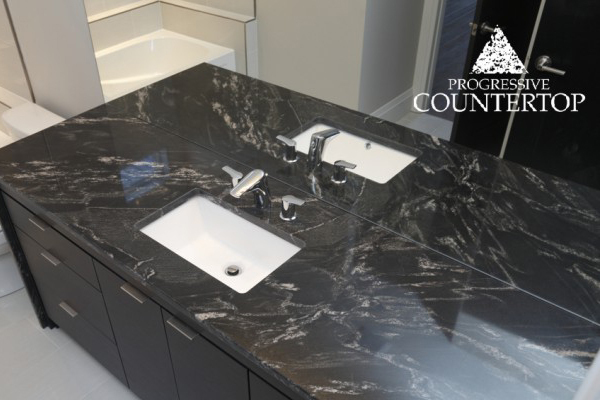 Bathroom vanity renovation with Aquarella granite counter top provided by Progressive Countertop. 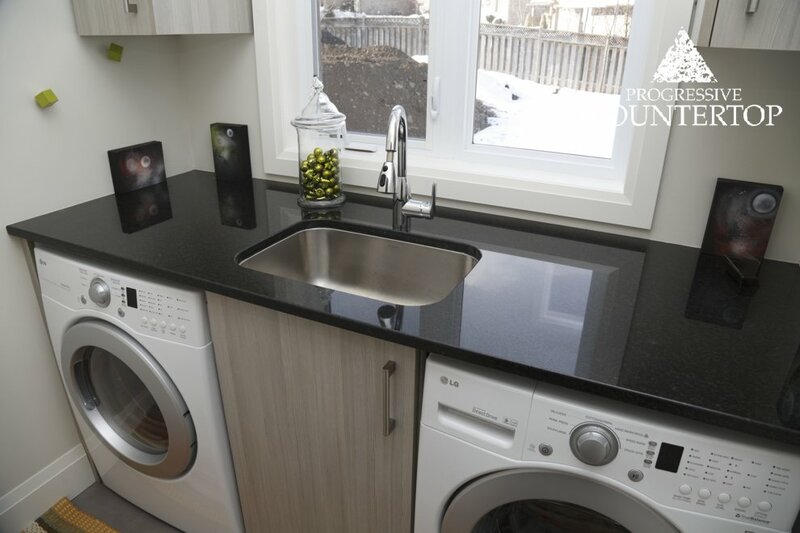 Beautiful laundry room renovation featuring Black Pearl Granite counter top by Progressive Countertop. 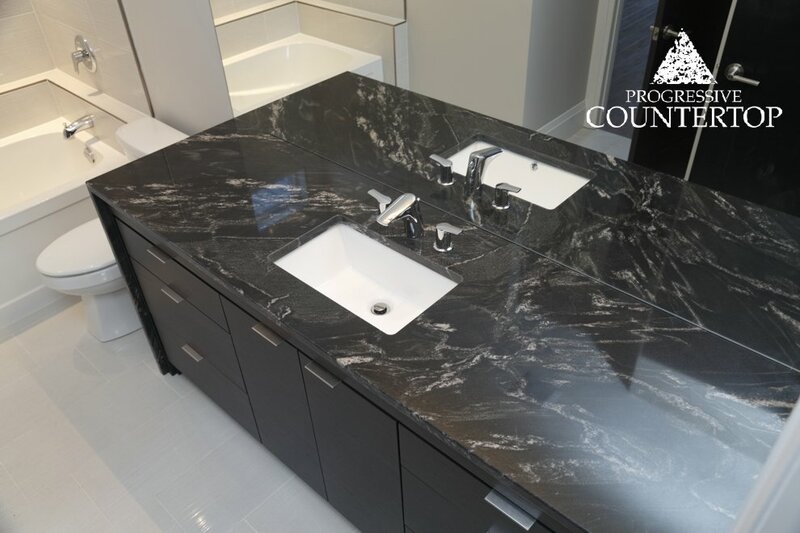 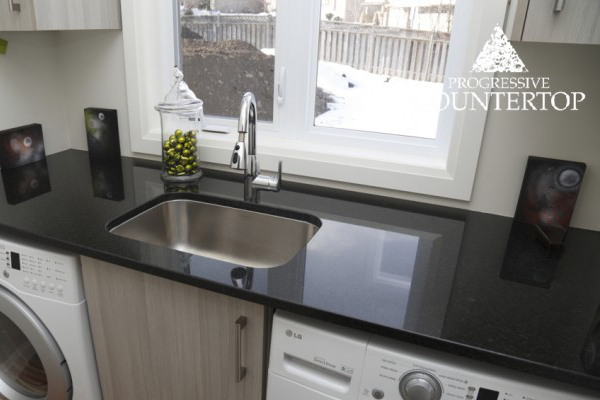 This Blackberry Granite countertop features a mitered edge and a waterfall leg, and is a beautiful addition to this Dream Home in London, Ontario. 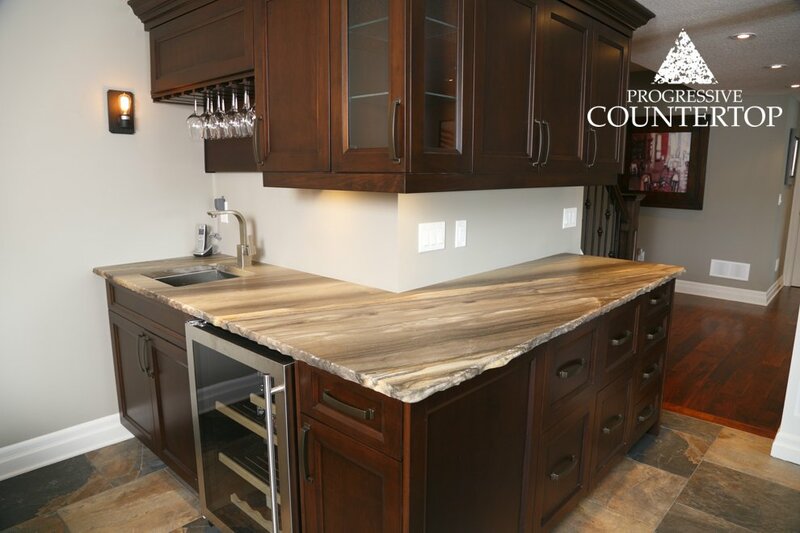 Sequoia Brown Leather Granite with a chiseled edge helps make this basement bar a statement. 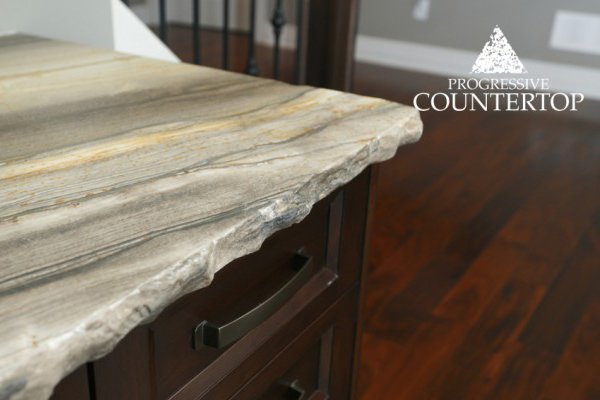 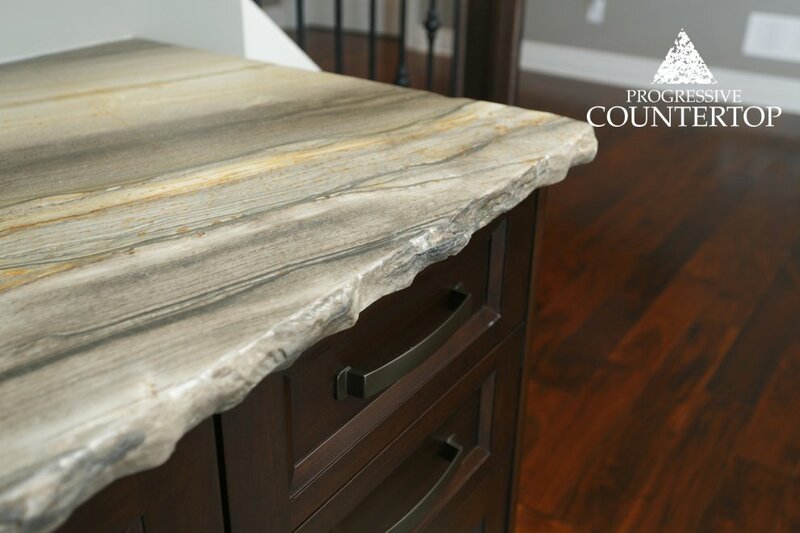 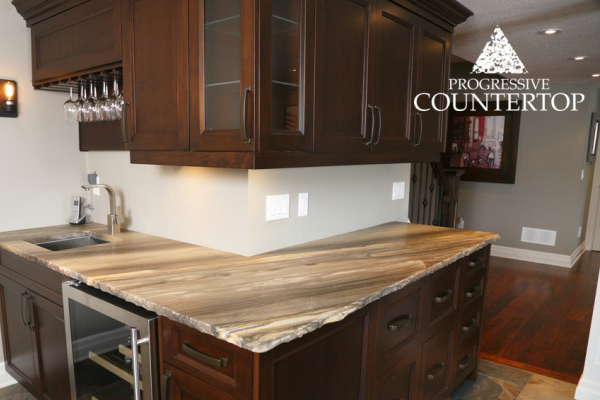 This chiseled edge on a Sequoia Brown Leather Granite counter top adds character and a rustic feel.